One of the most important differences between PGSS and the student’s traditional schooling is the Living/Learning environment. Besides removing grades and increasing the difficulty of the work, students are immersed in a peer group of like-minded academics who love learning and are supportive of intellectual pursuits. The support goes beyond the classroom with students becoming more social with their peers and connecting beyond the limits of social media. Students found themselves working in project teams where everyone was a contributor. They found more enjoyment in social settings, sporting events, and co-ed activities. They found a peer group that amplifies their educational experience, and help them learn. In fact, a pre/post survey showed that PGSS is a better experience in nearly every category than high school (to 95% confidence). "The social activities were extremely valuable and the TA's and comfortable environment (lack of cliques) made learning and having fun easy"
"I believe the best part of the PGSS was the opportunity given to learn something brand new that is not always present in a high schools setting. Even then, I liked that even when the subject was hard, I had to push myself to really begin to understand a new, difficult concept. The program made me a little more humble and instilled a new vigor for learning because challenging myself was the only way to gain new skills on how to learn hard topics." "In addition, the social sphere was an incredibly important part of PGSS because without that, I do not think I could have had as fruitful of an experience. The social sphere encouraged collaboration and friendship." 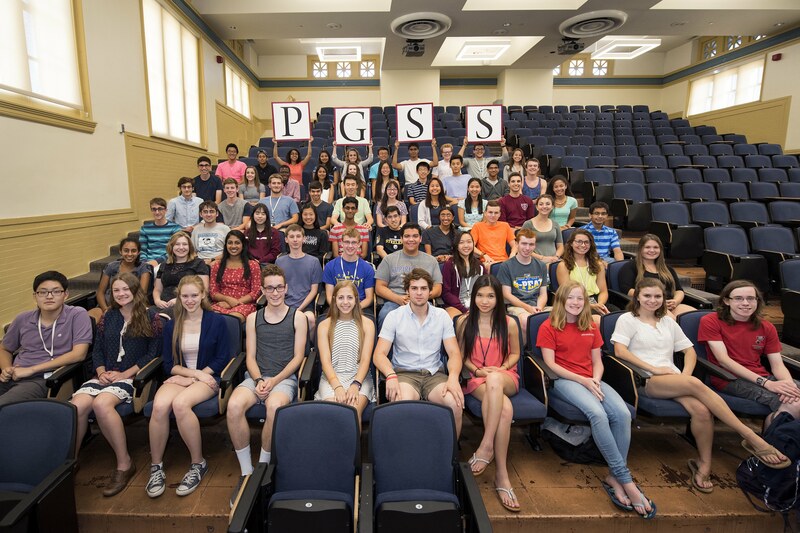 "The most important features of PGSS were collaborative skills that I developed, stepping outside my comfort zone, college preparation, adjusting to life away from home, and meeting all of the incredible people here." "Meeting people from a variety of backgrounds -- financially and politically and geographically -- and learning from each of them. I also loved being part of an environment so collectively intellectual." "To me, I really valued the collaborative learning experience. I like how technology is being integrated into the curriculum. I also really loved how how the environment was very learning-friendly and cooperative. I liked how we got to use hands on experience with the labs and team projects. "That is something that high school just can't replicate." "PGSS has been absolutely incredible. Throughout this, I felt like I was part of team working towards the same goal. I got to be surrounded by 59 other people who shared the same interests as me and the same goals as me. These people will not only remain some of my closest friends, but they will also be the source of inspiration and motivation when I need it most." "Everyone who has a love for science or wants to be in a field relative to science NEEDS to experience PGSS and allow it to change their lives like it changed mine."